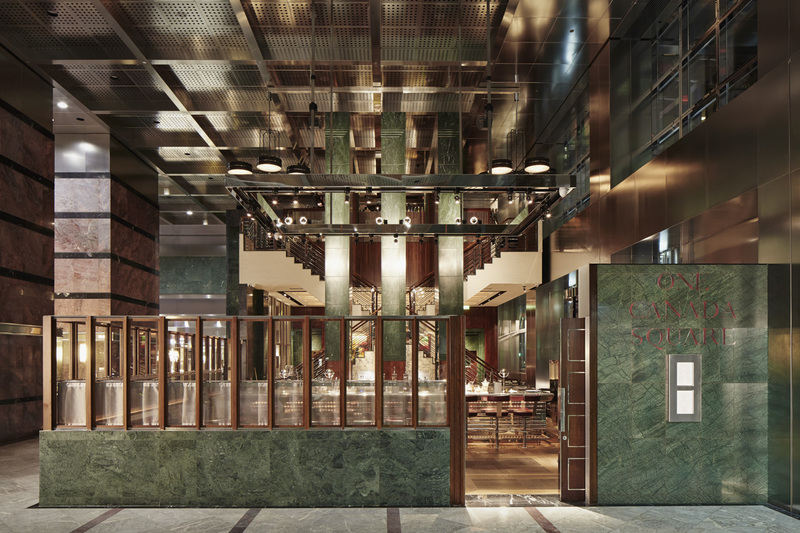 A new modern European restaurant and cocktail bar opened in the iconic 50 storey One Canada Square building in the heart of Canary Wharf. The venue, which is also called One Canada Square, is operated by ETM Group. It features interiors by renowned designers David Collins Studio and lighting produced by Dernier & Hamlyn. 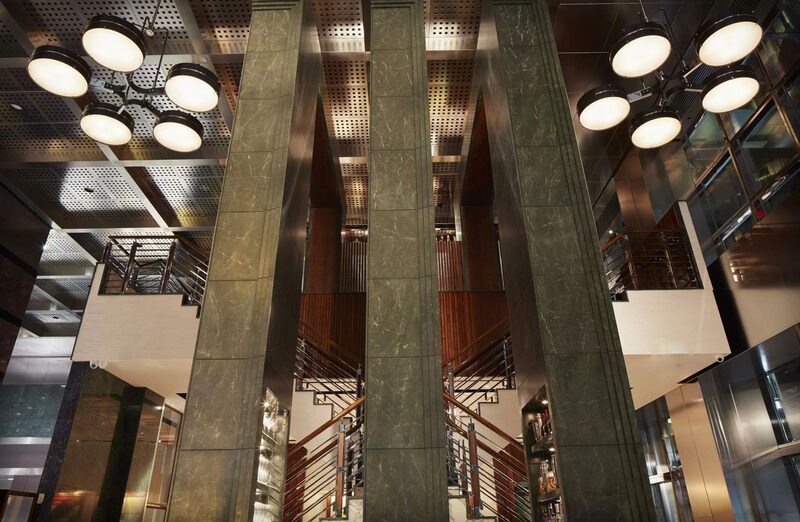 David Collins’ design concept was to take the existing fabric of the building and combine its bold use of austere marble for the post-industrial designs of the early 1990’s, with a softer dining aesthetic complemented by classic brassiere details. For the lighting this resulted in us manufacturing magnificent polished chrome chandeliers with weighty circular glass panels underneath. Each fitting is over 2m in circumference and has 15 LED lamps.